HOPE MILLS, NC -- An 18-year-old has been charged in a case where staff at Rockfish Road Elementary School repeatedly had been cleaning human feces from the children's playground at the school. The suspects were caught after the Cumberland County safe schools coordinator, Bruce Morrison, had cameras installed around the playground. Soon after, video captured someone defecating on the playground. Morrison shared the video footage with Cumberland County Sheriff's Office detectives who investigated the incident. 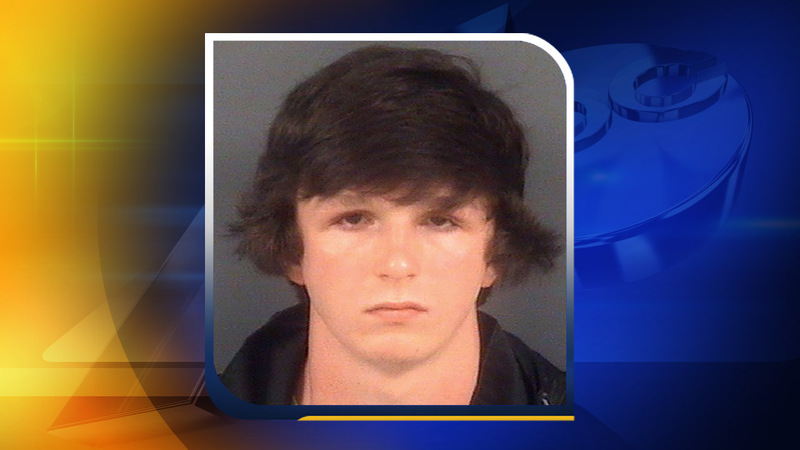 Robert Christopher Elliott, 18, of Hope Mills, was identified as the culprit and arrested Monday. Deputies said Elliott, who was with his younger brother, not only defecated on the playground but took pictures of what he had done. Elliott and his brother, who is not being named because he is a minor, were charged with second-degree trespassing for being on school property after hours. Elliott was also charged with injury to real property and contributing to the delinquency of a minor. Elliott was booked at the Cumberland County Detention Center. His bond was set at $500 secured pending his first appearance in District Court on June 3.